Broccoli gets a bad rap, but it’s actually incredibly nutritious and good for us. I’d turn my nose up at broiled broccoli as well – limp veggies aren’t my thing. 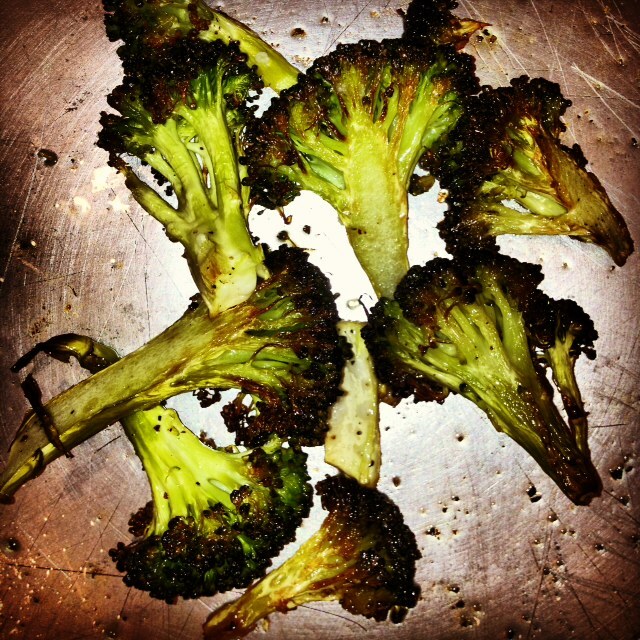 However – I cannot get enough of roasted broccoli. So simple. So good. One time I almost thought I would have take it over chocolate for dessert. Almost. Eat on its own, in a salad, or put it in soup!